About a month or so ago we shared this post on Facebook shared by our friends over at The Painted Bench on Ottawa Street, Hamilton! Now that the weather is warmer it is time to get outside and finish up those DIY projects that have been collecting dust in your basement all winter, or is that just me? Here is our bucket list of summer DIY projects & some tips on finishing those projects that aren’t quite finished! Turn your chipped, peeling, or sun-damaged picnic table into a chic statement. 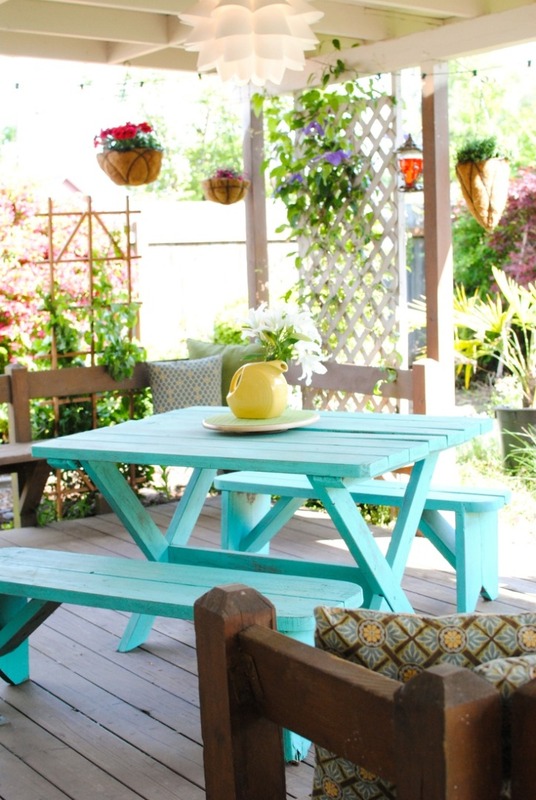 Just apply a few coats of outdoor paint in your favorite colour and ta-da your finished! Solid wood bookcase are often hard to find! 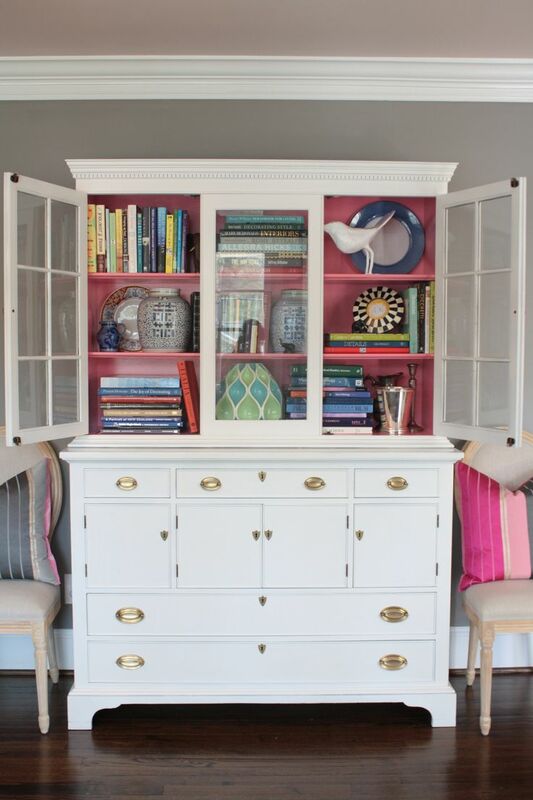 If you want something sturdy, decorative and a fairly easy DIY project try turning a china cabinet into book storage for your living room or library. Outdoor bar carts are hugely popular this season! Grab some wooden pallets and try making your own! Here’s a project that I’m almost finished, can’t wait to share how it all turned out! But for now here a Home Depot tutorial Tree Stump Side Table. Tips on Finishing your (not quite finished) DIY projects! 1. Start with the unfinished. There are more unfinished DIY projects out there than we could ever know what to do with. When I notice myself generating too many half-finished projects, I’ll write them all down. Before I start any new projects, I’ll work on finishing all the ones I’ve started. 2. Get rid of the projects you know your never going to finish. Discovered that you’re not really an oil painter after all? Get rid of the half-finished painting. Pass on all of your supplies. If you have gotten in over your head with a painting or woodworking project there is no shame in seeking out a professional who will give you the guidance you need! Any DIY projects lined up for the summer? I’d love to hear about them and swap ideas! Let us know if you have finished a great DIY project, or have any tips for painting furniture? We can’t wait to hear from you!